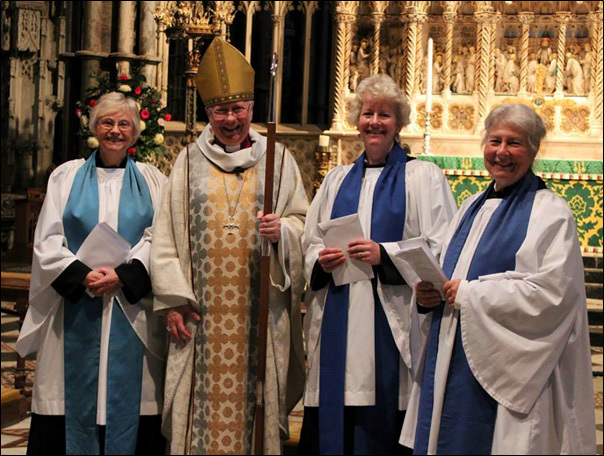 At the Admission and Licensing of Readers service at Ely Cathedral on Saturday 4 October 2014 our lay reader, Susan Rawlings, was presented with a book token under the John Hullock Award. In his will, John Hullock, an LLM of over 55 years, left a sum of money to be used in the further training of LLMs. Under this scheme, Licensed Lay Ministers who have completed three year’s service receive a book token to help with their further studies.